IEC Director Yiftah Ron-Tal discusses damage of 'Arab Spring' to Israeli electricity, 'revolution' of Tamar natural gas fields. Maj.-Gen. (res.) Yiftah Ron-Tal, Director of the Israel Electric Company (IEC), spoke Thursday at the Ramle Conference on financial policy, where he addressed the Palestinian Authority (PA) electricity debts of 1.4 billion shekels (nearly half a billion dollars). "If it were up to me, I would cut off their electricity tomorrow," commented Ron-Tal. "Any private company would have cut off their electricity a long time ago. We're demanding the PA to pay every last penny." In early March, the IEC issued a final warning to the PA to pay its debts within three days or get disconnected, a threat that was not carried out due to the publicly-owned nature of the company. The PA habitually fails to pay its electricity debts to Israel, despite receiving money specifically for electricity from various international donors and receiving a discounted rate from Israel. The PA announced in late March it had reached a staggering $4.8 billion in debt, with a 2014 budgetary deficit of $1.5 billion. Damage from the "Arab Spring"
Discussing IEC policy, Ron-Tal noted "part of the welfare policy characteristics that I really agree with are lowering the cost-of-living that influences every aspect (of life). In the coming year we'll lower the costs of electricity." Ron-Tal's plans to lower costs apparently hang on the switch over to natural gas as a source of electricity production. "For many years we used expensive pollutant materials, and not any less problematic, materials that were bought from non-Jews. The state of Israel is shifting to produce electricity through gas. Power stations have been placed to produce electricity from gas," noted Ron-Tal. The IEC director added that the unrest spreading in the Arab countries since 2011 in what was termed the "Arab Spring" influenced Israel by cutting of the supply of natural gas. As a result, Israel produced electricity from diesel fuel. "We need to understand that one unit of diesel fuel costs five times more than a unit of gas. 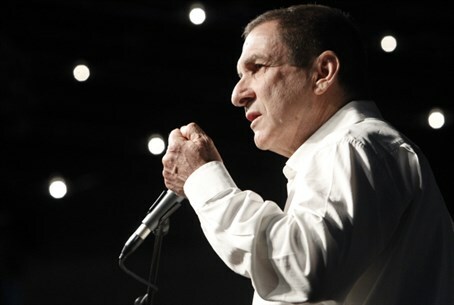 Since then, we've spent 100 million shekels (around $29 million) a day, and that's the reason for the awful financial situation of the electricity company," remarked Ron-Tal. Due to the switch to diesel fuel, Ron-Tal acknowledged that in 2012 IEC had reached its most serious crisis, both financially and in terms of electricity production. Last March the tides began to turn however, as the Tamar offshore natural gas field came online. "A year ago we started getting gas from the Tamar reserves. As opposed to previous reserves, this one will provide from 20 years. We have Israeli gas in the sea that is starting to arrive to the shores of the state of Israel in unlimited quantities," appraised Ron-Tal. The IEC director called the production of Israeli gas from the field a "revolution" that would allow electricity prices to drop, and grant Israel the ability to produce its own electricity. He noted "we are reaching the situation where the gas is completely ours."